Blending with ready-to-use finely diced mushrooms is one of the easiest things you'll ever do to create healthier, more delicious, and sustainable meals with ground meat. Let's Blend™ finely diced mushrooms have been pre-chopped, blanched and cooled to save you time in the kitchen.Let's Blend™ blends well with ground beef, chicken, lamb, pork and turkey. 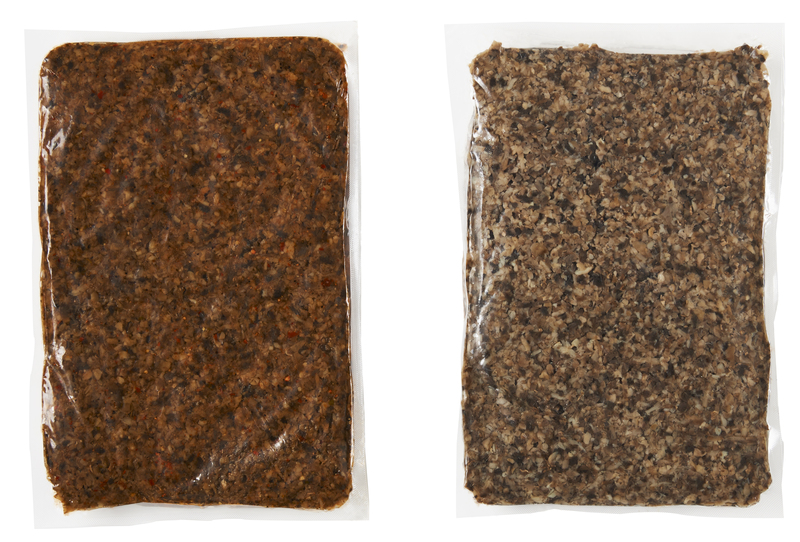 Use Let's Blend™ mushrooms to enhance or substitute meat for burgers, chili, meatloaf, sloppy joes, meatballs, pasta sauce, tacos burritos, enchiladas, casseroles and soups! Healthier options: when used in traditional meat dishes, Let's Blend™ reduces amount of calories, fat and cholesterol. Labor saving: pre-chopped, blanched and cooled mushrooms are ready to blend with meat. Better flavor: enhances meat for juicier, tastier flavor Longer shelf life compared to fresh whole mushrooms. "The Blend broadly offered on American menus was conceived of and incubated by The Healthy Menus R&D Collaborative (HMC), an educational initiative of high-volume culinary leaders developed by The Culinary Institute of America in partnership with its founding member, Mushroom Council.